In 1973, he graduated from the 1st Leningrad Medical Institute named after I. P. Pavlov. In 1973–1975, he studied in clinical internship in “Hematology” at the Department of Faculty Therapy of the same institute. In 1979, Andrey Zaritskey defended his thesis for the degree of candidate of medical sciences, specialization “Hematology”. He was engaged in teaching, medical and research activities at the same department. In 1996, he presented his thesis for the degree of Doctor of Medicine. Since 2001, he is a Professor of the Department of Faculty Therapy, St. Petersburg Pavlov State Medical University. For many years he was the Scientific Director of the Hematology Department at the City Hospital No. 31, St. Petersburg. From 2008, to present time Andrey Yurievich is a Director of the Institute of Hematology of Federal Almazov Medical Research Centre. 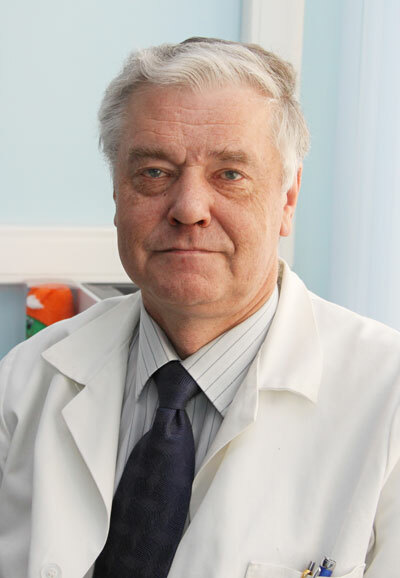 Professor Andrey Zaritsktey is a member of the Dissertation Council on “Hematology” at Pavlov State Medical University, member of the Editorial board of the “Journal of Hematology”. He is also a member of the Russian expert council on the treatment of chronic myeloid leukemia and lymphoma, and is actively involved in the development of national guidelines for the management of patients with these pathologies. For many years in different cities of Russia Professor Zaritskey conducts schools for patients with chronic myeloid leukemia in the framework of the “Right to live” Project. As one of the leading hematologists of the Russian Federation he organizes roundtables and seminars on hematological malignancies in different regions of the country. Andrey Zaritskey is an active member of the organizing committee of Federal Almazov Medical Research Centre for organizing the annual All-Russian scientific conferences with international participation. State Task No. 25: “Study of mesenchymal stem cells and endothelial cells interaction within the vascular niche models of bone marrow” (joint work in the framework of international cooperation with the University of Heidelberg, Germany). State Task No. 27: “Study of molecular markers role in the evaluation of leukemia therapy effectiveness”. Professor Andrey Zaritskey is the main investigator in more than 20 international and national clinical researches in hematology. Within the program “The EUropean Treatment Outcome Study (EUTOS) for CML” he is the leader of two projects organized by the European LeukemiaNet: 1. Retrospective case of patients with chronic myeloid leukemia in the North-West region of Russia and 2. Prospective registry of patients with chronic myeloid leukemia in St. Petersburg and Leningrad region. Andrey Zaritskey is a representative of the Russian Federation in the International Chronic Myeloid Leukemia Foundation. Professor Zaritskey has authored and co-authored over 100 publications in national and international journals in the field of hematology.